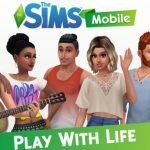 If you’re ready for more ways to increase your Simoleon and Lifestyle Point counts in The Sims FreePlay, we’ve got a couple of tips for you after the jump. But just to remind you, this is a game for Android and iOS devices, and it’s from the very same (current) makers of the Sims series, Electronic Arts. 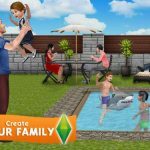 While definitely a “lite” version of the more immersive games you may know from PC, you can still guide your Sims’ lives from childhood to old age, have them raise families, earn a decent living, and live happy lives. 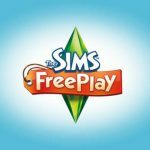 The latter two are quite important, which is why our The Sims FreePlay strategy guide will keep pushing forward with additional tips to help you earn more Lifestyle Points and money. And just as a teaser, this certainly won’t be the last part in our series. Gross as it may sound, it does happen – if your Sims are unable to go to the bathroom, they’ll wet their pants or do their business where they shouldn’t. Also, shaking your phone or tablet will cause your Sims to get nauseated and throw up. Clean up the mess and get some Lifestyle Points for doing so. Buying the Community Center could allow your Sims to have a hobby and hone their skills while they’re at it. Hobbies run the gamut from figure skating to ghost hunting, and all of these hobbies will earn you rewards; completing a Sim’s collection will earn you even bigger rewards. The Competition Center is one of the buildings introduced through the Supernatural update, and you’ll want to send your Sims there to compete in different hobbies, including ballet, ghost hunting, and karate. If your Sims’ skills are sufficiently leveled up, that could mean better prizes if they win at the Competition Center. 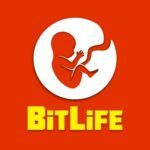 If you have your Sims go out and drive, you can earn both Simoleons and Lifestyle Points. Try to catch the music notes for more money, and possibly some LP if you luck out while doing this and tapping on the notes. This would be helpful if you’re trying to create something that takes a while to be created. For example, if you’re baking something, get two ovens and don’t settle with one. But don’t splurge on expensive ovens, as that won’t expedite the baking process at all. If you have a lot of money to burn, don’t spend on anything you wouldn’t end up using after all – this parallels the basics of keeping a budget in real life. Likewise, you should also save on LP as there are some tasks that would require them. Sell items you don’t need anymore, for example, a baby cradle that you won’t need any more once the baby grows up. And don’t spend real money on Simoleons, as you’ll get more in-game cash soon enough if you follow the above tips and do the right things in the game.